Ahmedabad, 20th January 2017: India’s leading manufacturer of TVs and electronics, Super Plastronics Pvt. Ltd. (SPPL), a Kodak brand licensee, today made its offline debut with over 400 selling points (retail stores), with the aim to capture 10% market share in Gujarat by 2020. According to the Consumer Electronics & Appliances Manufacturers’ Association (CEAMA) approximately, 14.5 million television sets were sold in India in 2015, of which 12 million were LCDs and LEDs. In FY’2014, the 32 inches to 40 inches LED television segment accounted for a lion’s share of about 63% of the overall sales in the LED market. 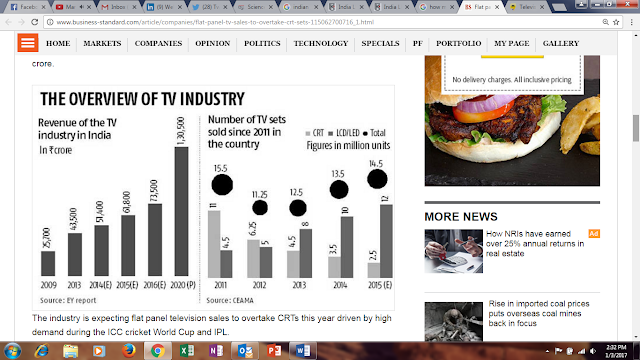 Although sales of LCD and LED TV sets have grown 28 per cent annually in the last five years, flat panel TVs are yet to replace CRTs completely. The KODAK HD LED TV brand was launched by SPPL in India in August 2016 through online e-commerce platforms (Shopclues, Amazon, Paytm & Flipkart). The initial product line up comprised of five HD LED TVs varying over a range of 32, 40 and 50 inches.